A quadrillion fold increase of the energy on mother earth in comparison to the energy yesterday (see pictures below). Grounding yourself is essential so that this immense energy can circulate through your system instead of it shorts circuiting. The human body is just like an electric device it needs proper grounding to not go bananas. Relaxing yourself through rhythmic and relaxed breathing works for me brilliantly. However this can be challenging to do at times when you are in the middle of a roller coaster ride experience. Also the inflamed ego hates relaxation as to it, it can feel like dying. In a way it is dying as it is transformed into the natural ego by relaxing. Ego is not a bad thing, you need it to have a sense of self and to exist in a physical dimension. Only for many do to an overstimulated nervous system the ego has become inflamed. By relaxing you relax and unwind your nervous system and let the ego return to its natural state, so it can function the way it was intended. Like with many things, practicing relaxed breathing regularly makes it more effortless to do and more automatic. A great way for relaxed breathing is to breath out about twice as long as your inbreathe. Try it out and see if it can smoothen out the processes you are in. On my journey I have come to notice the following thing: Breath is life, life is breath, master breath and you master life. 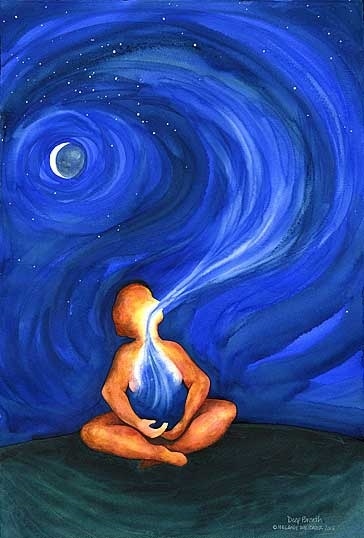 When you are able to relax your breath throughout any experience you have, then you have embodied a high state of mastery and can create your reality in a much clearer and aligned manner. We are all masters in potential we just have to download it in our system from the universal cloud storage. By grounding and relaxing yourself you become an open channel to receive the downloads. And the more you are grounded the smoother and faster you can receive. That’s it for now, until next time of the journey into The (N)everEnding (Un)known. Very interesting and thanks for publishing. Love it as I am curious about waht is going on with the Universal Energies. Would prefer a bigger font to make reading moreeasy. It is an honor, privilege and an immense pleasure to create and serve the divine in its many beautiful forms. Thank you for the feedback I was already wondering if the font is big enough. I liked the aesthetics of this smaller font but readability is of course very imlortant too. A trick which you can use to enlarge a webpage, is to press and hold control while using the scroller of your mouse. Though I will experiment myself with a larger font.